Zinedine Zidane is reportedly eager to seal the transfer of Marco Verratti at his next club amid links with Manchester United and others. 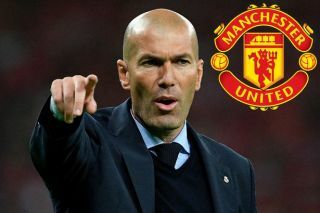 AS recently linked Zidane strongly with United as he wants a Premier League job next season, with a position likely to be available at Old Trafford as Ole Gunnar Solskjaer recently replaced Jose Mourinho as interim manager until the end of this campaign. With that in mind, it may be that the Frenchman is already planning his transfers, and that’s what’s claimed in this report from Don Balon linking him with an interest in signing Verratti. The Paris Saint-Germain midfielder is undoubtedly one of the finest in Europe in his position and would be perfect for United’s current needs in the middle of the park. A similar style of deep-lying playmaker to someone like Michael Carrick, Verratti would surely be an upgrade on players like Nemanja Matic and Fred, who’ve both struggled for the Red Devils this season. Still, that Don Balon piece also links Zidane with Bayern Munich, so it may be that he’ll wind up there and try to bring Verratti to the Allianz Arena instead. According to Transfermarkt, Verratti’s current market value is around £63million.